What is the right rug for you? Buying Oriental rug is a big investment, if a quality rug is bought it will last for years to come and you can pass it on to your children even grand children. First step in buy an oriental rug is to purchase your rug from an established trusted Oriental rug store. Today you come across all kind of phony sales and auctions that advertise going out of business sale, estate liquidation sale and so on. We recommend you to stay away from department stores when it comes to buying rugs, you don’t want to invest thousands of dollars on an item that salesperson cannot answer your basic questions and has no knowledge about that product what so ever. Knowing your budget is very important, you get what you pay. It’s never been truer when it comes to oriental rugs like most other products quality rugs are always expansive. If you are shopping for quality rugs you have to pay for it, it doesn’t matter where you shop. We always recommend quality. Geometric designs in: Heriz, Serapi, some Mehals, Turkish Ushak, Caucasian/ Kazak, Turkoman, almost all Kilims. Third you need to decide if you want to go with antique rug or new rug. New rugs are usually less costly than antique rug, new rugs last longer need little care and you have more choices as far as color combination and design goes, on the other hand antique rugs are more costly you have little choice of design and colors. Antique rugs are always more valuable than new rugs, they are collectable and one of a kind. Antique rugs come in unique colors that are very hard to find in new rugs except vegetable dye rugs. 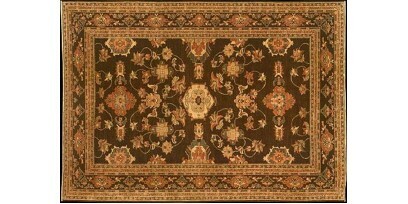 But antique rugs are usually associated with some prior repair, misshape, weak foundation and low pile. We direct import top quality handmade rugs from around the world, among all new rugs Afghan vegetabl..